for Clergy, Ministers and Pastors. Tuesday 13th January 2015 2-4pm at LCI. At a time when Equal Marriage legislation is new in the UK, Christian leaders in local settings are responding to new pastoral situations and requests. This Forum is an opportunity to talk with others informally about your experiences. 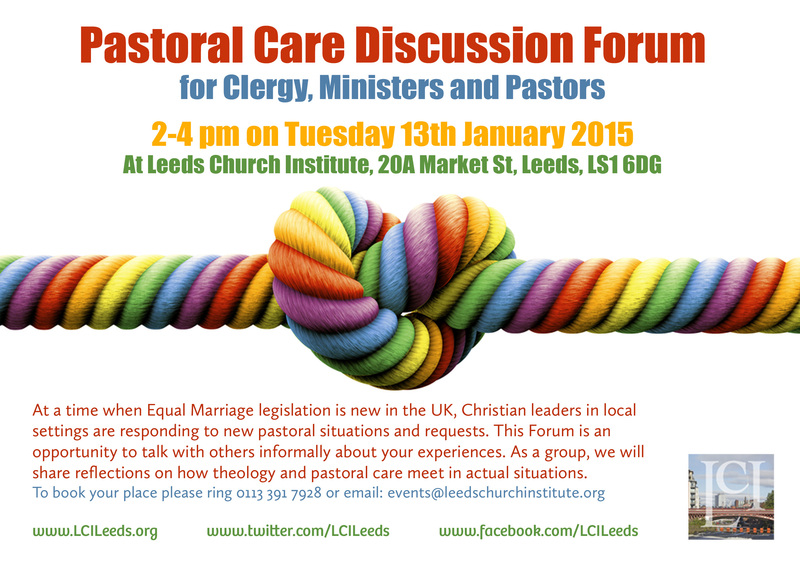 As a group, we will share reflections on how theology and pastoral care meet in actual situations.